Gentle Face Scrub by Obiqo. When the New Zealand skincare company Obiqo contacted me, asking if I wanted to review two of their products from their line, I could not pass up the opportunity to try something new as well as host a giveaway! From their collection I chose the Gentle Face Scrub and Restoring Night Cream. The Gentle Face Scrub is made with sweet almond and apricot oils, along with extracts of sea kelp, sea lavender, and wheatgerm oil. The jojoba beads very gently lift away dead skin cells. Obiqo recommends using the scrub twice a week after you have washed your face and says it is most suitable for normal to dry skin. A sample of the scrub. I really like the packaging and lovely yet subtle scent of this creamy scrub. It gently cleans the face and moisturizes it as well. I didn’t realize how dried out my main facial cleanser left my skin until I started using the Obiqo scrub and now I am using it twice a week, as recommended, as a break from my regular cleanser, to give the drier parts of my skin a moisturizing cleaning. Restoring Night Cream by Obiqo. The Restoring Night Cream is also offered in great packaging, the kind you’d leave out on your nightstand or bathroom shelf so you could see it regularly, and has a compelling but delicate (and, to me, luxe) scent. Like the scrub, the cream includes sea kelp and sea lavender, as well as marine-sourced collagen, elastin, and evening primrose. The cream is very thick and rich. Obiqo says it is suitable for those with normal to dry skin and recommends using it every evening on a cleansed and toned face and neck. I have combination skin so I use the cream mainly on my neck, under the eyes, and around the outer eye area and temples. The directions don’t say to do this, but I confess I am also using this cream on my very dry cuticles just before bedtime. It really moisturizes them and they don’t look so dried out in the morning! I love a multitasking beauty product so this night cream gets high marks in my book! To give you an idea of its texture. 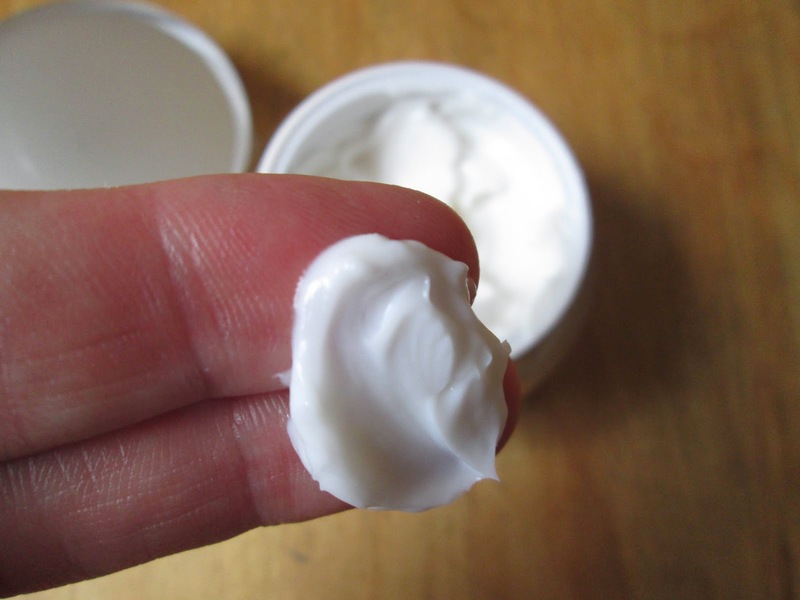 This cream is thick! Obiqo products are inspired by the sea and proudly made in New Zealand! You can read about Phillippa Fletcher, the founder of Obiqo, here. 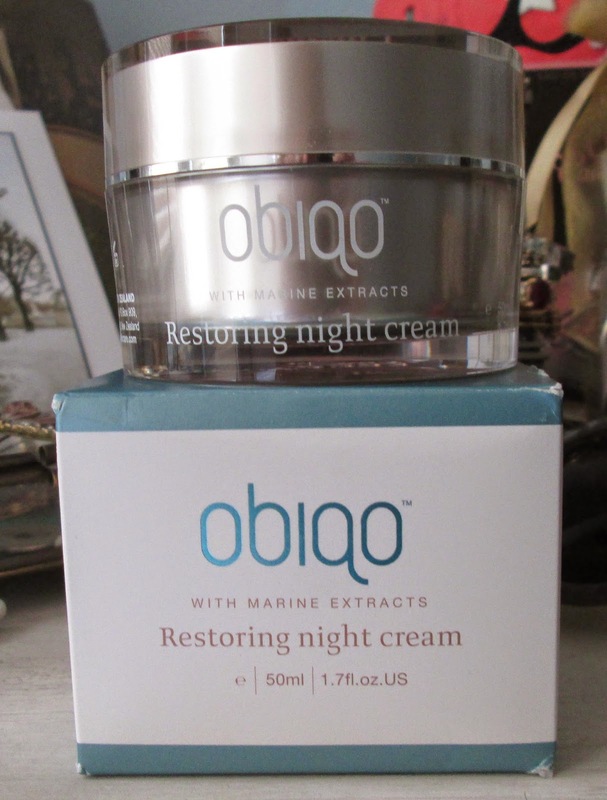 If you would like a chance to win both the Gentle Face Scrub and Restoring Night Cream to try for yourself, do use the Rafflecopter link below to sign up for the giveaway of these two great products, sponsored by Obiqo. The giveaway is limited to US entrants only and you must sign up for Obiqo’s newsletter, using the link below. The giveaway winner will receive the same two products I reviewed, the Gentle Face Scrub and Restoring Night Cream. The giveaway will take place on Friday, May 23, 2014, and I will write a separate post announcing the winner. Disclosure: Obiqo sent me their Gentle Face Scrub and Restoring Night Cream for review. All opinions expressed here are my own. Mhm, this sounds like delicious food for the skin :-) Too bad I can't enter the raffle. Dear Jill, I went to the Hermès Festival des Métiers in Gemany on Saturday and have written about it. Would you like me to link your lovely FdM-post to it? I bet it's exciting for Hermès lovers around the world that didn't get to read your post when you originally wrote it. What do you think? Sounds like very nice products! Sounds like a good product, Jill, the sea is full of treasures for our skin. Delighted to enter your giveaway. Thanks for stopping by the table. Good to hear from another Maks & Meryl fan. :) Still scratching my head about Candace too.